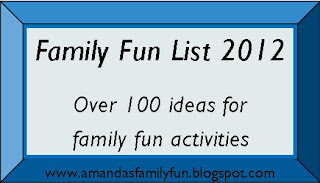 Yesterday, on New Year's Eve, we sat down as a family and came up with a list of things that we would like to do in 2012. It's more short term than a life time bucket list, but I don't actually expect that we'll get everything accomplished in 2012. Some of the activities are really easy and some are a bit more extravagant/difficult as I really can't imagine a surprise Disney World vacation, Disney Cruise and a trip to play in the snow, plus a trip somewhere to pan for gold all happening in the same year! We didn't want to leave any wishes off so they are all included. Well except one - milk a cow - it was my idea, the girls were not impressed and Daddy thought they might be too little so we'll try to visit a dairy and watch someone else milk a cow (or even a goat) instead! We only came up with our list last evening, so now that I have it all typed up I plan to format it, print it all out and post it on the wall so that we can all keep track of how we are doing. 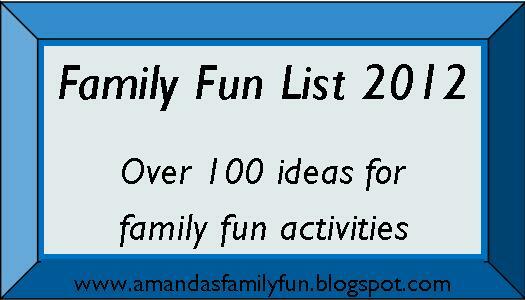 If all goes well and this turns out as planned kick starting a year of fun family memories, we can create a new list every year. Ahem. A fine idea for #99 create a new family tradition. ;) So here's our list. 119 strong. It's such an odd number, I resisted the urge to come up with one more just to round it out - haha. 57) take more family photos! Hopefully this will inspire you to come up with some fun activities for 2012 also! I'll do my best to keep this updated, crossing out as we go along. Wishing you a Healthy, Happy & Prosperous New Year where all of your wishes come true! This list rocks! You guys are going to have such a fun year. Can I come over when you do #75?